Holi 2017 Special - Holi is just around the corner. On this Holi lets checkout baby names inspired by colours. Holi is the festival of colours and there's no fun in abstaining from colours on this occasion. This Festival brings a lot of fun and enjoyment for people in India and abroad. What better place to draw inspiration for baby names than from this unique and joyous Holi spirit. 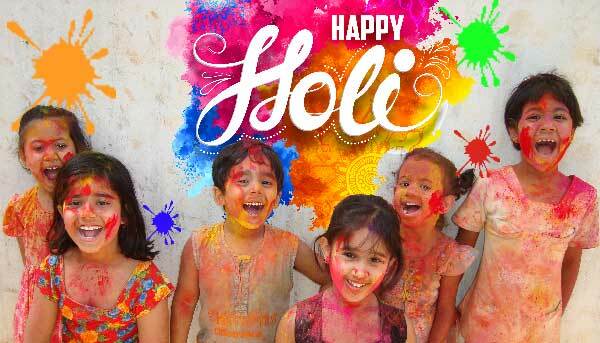 Keeping Holi in mind, today we're presenting you list of colourful Hindu baby names. Holi 2017 will begin in the evening of Sunday, March 12 and ends in the evening of Monday, March 13. Holi is a Hindu spring festival in India. Holi announces the arrival of spring and the passing of winter. Also known as the "festival of colours" or the "festival of love", Holi signifies the victory of good over evil.